We run a Get Set Go programme as an introduction to athletics for 5 and 6 year olds. 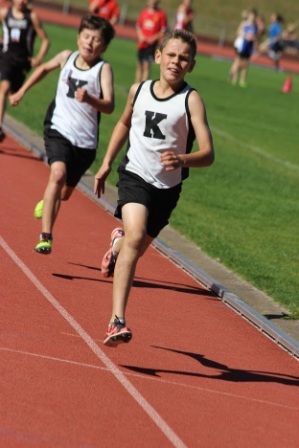 The programme usually only runs for an hour for these younger athletes (6-7pm). Parents are expected to participate in the activities with their child and not to leave children at Club Night unsupervised. 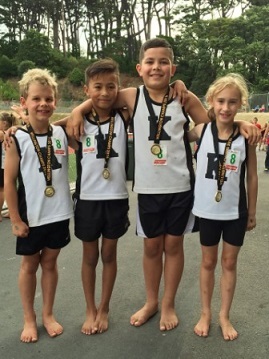 Our club night programme for 7-15 year olds is based on the Athletics NZ Run Jump Throw programme to develop all round athletics skills and the Athletics NZ 5-Star Award Scheme based on personal improvement with the aim is to encourage participation across a range of events. Results are recorded and we need parents to help out at all events. 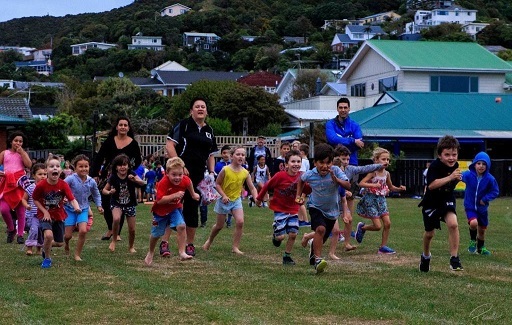 The events for 7-9 year olds are 60m, 100m, 200m, Long Jump, Discus and Shot Put. 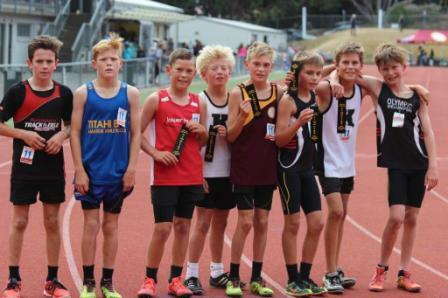 The events for 10-15 year olds are 100m, 200m, 400m, 800m, 1500m, High Jump, Long Jump, Discus and Shot Put. 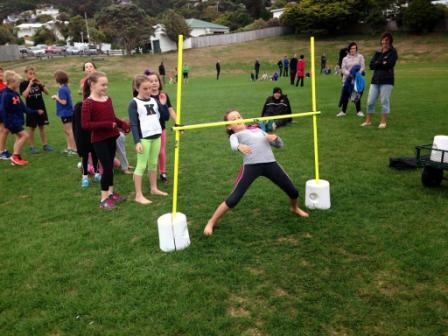 Hurdles are also introduced from age grade 12+. A warm up using the Run Jump Throw programme will start the night. The programme will then rotate through a mixture of field events and races (sprints and middle distance). Relays will be practised at the end of the evening on some nights.